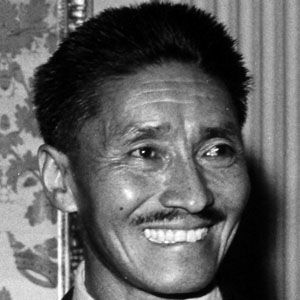 Nepalese man who, in 1953, became one of the first two people to reach the summit of Mount Everest. He is widely regarded as one of the most famous and influential mountaineers of all time. He trained to become a monk at Tengboche Monastery as a teenager but ultimately decided that the monk lifestyle was not for him. He was voted as one of the 100 most influential people of the 20th century by Time magazine. His partner in climbing Mount Everest was Sir Edmund Hillary.